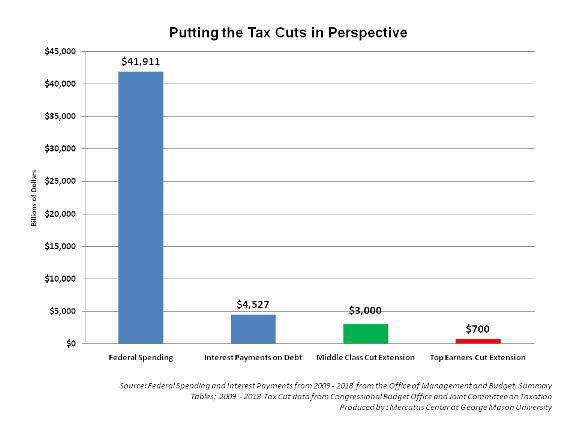 This chart by Mercatus Center Senior Research Fellow Veronique de Rugy puts the extension of the Bush tax cuts (as they are commonly known) in context. The cost of this extension - $700 billion – should be compared to $41.9 trillion of federal spending which is slated to occur over the same time period. While the cost of extending these tax cuts is substantial, it is far less than many single programs, especially when compared appropriately, over the 10-year window.